Henry Schein (NASDAQ:HSIC) is a Fortune 500 company that provides products, services and technologies to dental, medical and animal health practitioners. Our partnership, spanning a decade, involved both product publicity and cause-related communications support for the Henry Schein Foundation. While B2B product publicity is fairly straightforward, ensuring that hundreds of products make it into the countless new product sections and monthly buyer’s guides is not. 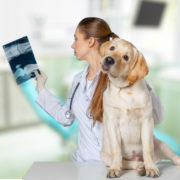 ALC worked with over a dozen product managers to ensure that Henry Schein’s extensive product line — more than 8,000 SKUs, from cavitrons to canine cancer drugs, were included in monthly category features in dental, medical and animal health trades. We also supported dozens of annual trade shows annually, generating earned media and handling press interviews for top Henry Schein executives.